Rev. Mark M. Nakagawa has been appointed as the next superintendent of the West District of the California-Pacific Conference of the United Methodist Church, effective July 1. The announcement was made on Jan. 17 by Bishop Minerva G. Carcaño. “The gifts and grace God has blessed our brother Mark with will strengthen our Cabinet and I have no doubt that he will be a faithful extension of the episcopal office as the spiritual and temporal leader and missional strategist of the West District,” Carcaño stated. Nakagawa has served as senior pastor of Centenary United Methodist Church in Little Tokyo since 2000. He will leave that position to oversee the churches that comprise the West District, which includes Los Angeles, Long Beach and parts of Santa Ana. “Instead of going to sleep worrying about one church, I’ll be worrying about 92 churches,” Nakagawa said. He said while he is sad to be leaving Centenary, which was the church of his childhood and youth, he vowed to remain a part of Little Tokyo. He noted the many changes that have occurred in Little Tokyo in the past 15 years. Prior to Centenary, Nakagawa served at United Methodist churches in West Los Angeles and Sacramento. Nakagawa has served extensively throughout the United Methodist connection. He was the first chair of the Asian American Language Ministry Task Force (AALM) established in 2000. He has experienced and influenced four General Conferences through his work with the Inter-Ethnic Strategy and Development Group (IESDG). Currently, Nakagawa chairs the National Japanese American United Methodist Caucus. In addition, he is a member of the California-Pacific Conference Board of Trustees as well as its representative to the California-Pacific Conference United Methodist Foundation. Over the past 25 years, he has been on the board of the United Methodist Federal Credit Union, distinguishing himself as both vice chair and chair. Over this quadrennium, he has assisted in the review being done of the United Methodist Social Principles in the hopes of determining what would truly represent social principles for a worldwide church. Nakagawa is an active community and interfaith leader in Los Angeles and in Southern California. 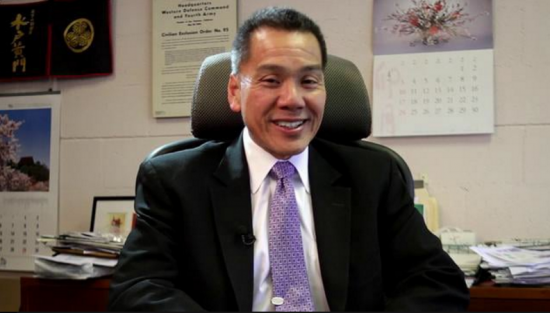 He is a past president of the Nisei Week Foundation and is currently a member of the Little Tokyo Community Council, the Nikkei Interfaith Group, and the Christian-Muslim Consultative Group of Southern California. He earned a bachelor’s degree from UCLA and a Master of Divinity from Pacific School of Religion (Berkeley). The California-Pacific Conference is a regional body of the United Methodist Church, made up of some 80,000 members in almost 360 local churches throughout Southern California, parts of Central California, Hawaii, the Pacific Islands, Guam and Saipan.